Most graduate programs require taking the GRE (Graduate Record Exam). Every year, more than 700,000 people take the Graduate Record Exam, commonly known as the GRE. While the test is similar in many ways to its college-entrance cousin, the SAT, there are some important differences. This means there’s no need for a No. 2 pencil and those all-too-familiar bubble sheets. On the computer-based test, the difficulty of the questions is based on the accuracy of your answers to previous questions. The better you perform on the first sets of 20 verbal and quantitative reasoning questions, the harder the next sets of 20 questions will be. For the verbal reasoning section, test takers have two 30-minute periods to answer two sets of 20 questions. Test-takers answer two sets of 20 quantitative reasoning questions, with 35 minutes to answer each set. The analytical writing section consists of two essays, for which test takers get 30 minutes to write each. The verbal and quantitative reasoning sections are graded on a 130- to 170-point scale in 1-point increments, and the analytical writing section is scored on a 0-6 scale in half-point increments. The GRE doesn’t necessarily test on a student’s knowledge or aptitude. Rather, it tests students on how well they can take the GRE. Therefore, there are specific things that students need to focus on in order to do well on the test. Having trouble differentiating your X-axis from your Y? Have too many late nights in college wiped away the important teachings of Pythagoras? You’re not alone. Many GRE test takers are many years removed from the basic tenets of high school math, which play an important part in the quantitative section of the test. If you’re rusty, it’s important to revisit the concepts of algebra and geometry that you learned in high school. While the GRE’s quantitative section is not much more advanced than the math found in the SAT—and familiarity with concepts learned in high school should be enough to post a decent score—the verbal section went to college and graduated with honors in English. Test takers who slept through their English classes or turned to SparkNotes may be in trouble. During your time in school, be sure to read as much as possible to expand your vocabulary so that you can decipher unfamiliar words, testing experts say. You can assimilate far more diverse vocabulary over four years of college than you could ever hope to by cramming for a few weeks or months prior to the GRE. According to Andrew Mitchell, director of pre-business programs at Kaplan Test Prep, the GRE is designed specifically to differ from areas of study in college and is supposed to be a measure of a college graduates’ critical thinking skills, not necessarily what they learned in school. No matter how much cramming you might’ve done in college or how stellar your grades were, thinking critically might not come naturally. The tutoring classes tend to pay off, but are a sizable investment. Kaplan’s instructor-led classes cost more than $1,000 for about eight on-site sessions. Twenty-five hours of private GRE tutoring with Kaplan can cost roughly $3,000. 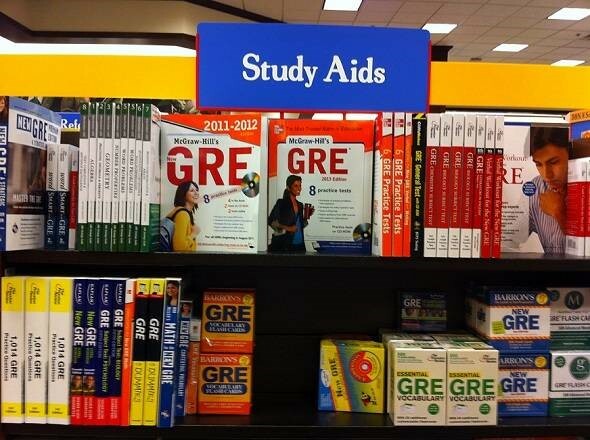 “It’s worth investing some time and money in preparing for the GRE,” says Mitchell. “Critical thinking is something that’s hard to change overnight because it’s such a lifelong skill. We try to help people unlock their critical thinking skills by getting more familiar with the test and more familiar with proven methods.” Another option for building critical thinking that’s a little easier on the checkbook is using the free resources on the Educational Testing Services (ETS) website. Sample questions and essay responses, advice, and scoring guides are available online from the folks who created the GRE. While your vocabulary may be impeccable, your writing skills polished, and your quantitative abilities sharpened to a razor’s edge, none of that matters if you’re unaccustomed to the test’s unconventional format. “To walk into this test unprepared, to sit down [and take it] having never done it before is suicide,” notes Neill Seltzer, national GRE content director for the Princeton Review. Educational Testing Service, the Princeton Review, and Kaplan all have free computer adaptive tests online that help simulate what is a foreign experience to many. Schools have access to any GRE scores for tests you’ve taken in the last five years, but experts claim that many universities only care about the best one. While this isn’t true for all schools and all programs, many universities pull the highest scores from the GRE ticket they receive from ETS. The admissions officials (and sometimes work-study students) who receive the tickets are the first line of defense, and oftentimes, they record only the top score when they’re compiling your file before sending it up the admissions food chain. “Even though ETS will report every score, the person reading that file and making the admissions decision may only see the highest math and highest verbal,” says Seltzer. Even if you aren’t an English major and don’t plan on writing the next great American novel, honing your writing skills is integral to overall success on the GRE. The two essays in the analytical section take up roughly one third of the time test takers are allotted. Some testing experts argue that near the end of college you should take a high-level English or writing course. While enduring a high-level writing course might put a small dent in the GPA (and ego) of non-English majors, it is an immense help when it’s time to crank out two timed essays on the pressure-packed GRE. “I would emphasize taking a few rigorous English and writing college courses, in addition to test prep, to best prepare yourself for the caliber of questions you’ll find on the GRE,” says Alexis Avila, founder and president of Prepped & Polished, a Boston area-based college counseling and tutoring firm.